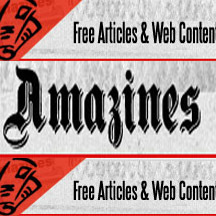 Amazines is another article marketing site that can drive web traffic to your site. They claim that they’re dedicated to helping you grow your subscriber list and develop more business. Of course, this is what all travel writers want. However, Amazines.com is not an amazing article marketing site, but it does seem adequate and may be worth your time in submitting your travel articles to. If you’re interested in getting the word out about your website then article marketing can help. Amazines does offer a ton of categories, and they’re open to category suggestions which is unique. Most article marketing sites have a set list of categories. Amazines will consider your niche which is a nice touch. Online tools to help publishers develop their “OPT-IN” lists. The website is not user friendly and the design is very “Web 1.0″. It’s overly busy-looking and could definitely use an updated design to make it look more professional. Amazines is building a comprehensive article database that’s free and easy for you to use. You can submit and manage your articles without the hassle. Need content for a week while you’re on vacation? Use their free feed which will place articles on your site. I honestly can’t say that they are the greatest article marketing site I’ve checked out, but they could be worth your time if you really want to get as many of your travel articles published as possible. 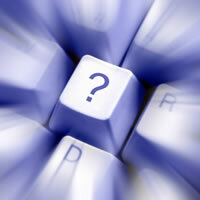 How many article marketing sites do you use? This entry was written by Amandah Blackwell, and posted on Wednesday, July 29th, 2009. I try to publish material exclusively, and not use article replication websites at all… So I would like someone to make a list of all the good Canadian e-zines that accept unsolicited material from writers. The list should be populated by page rank – highest PR first. Hi Rob – thanks for stopping by! I certainly wouldn’t knock your approach, especially if it works well for you. But often new travel writers/travel bloggers need the extra boost that comes from many more inbound links in order to achieve any recognition (in the form of higher ranking in SERPs for their travel niche keywords) from Search Engines, from which the vast majority of site traffic still comes. Building significant site traffic is still the key to building credibility, reputation, and respect as a travel journalist. A good number of publications, both online and offline, take a travel blog’s popularity (vis a vis site traffic statistics) into account when making decisions on which articles to accept, and certainly most PR firms are looking closely at it now when extending media trip invitations. So I still maintain that article marketing is a good and worthwhile effort. Regarding Canada ezines – such a list would no doubt be of value to some, and if someone put together such a list I’d happily publish it at this site, but the Search Engines care more about page rank and traffic than they do about nationality. 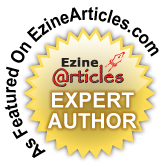 I would be pleased to be published in any reputable and respected online ezine, regardless of where they are located. seems to imply you are unhappy with the website, the content of your article actually acknowledged the usefulness of the site. Too bad the title is so negative. I guess this falls under the old catch phrase, You can’t judge a book by it’s cover. Speaking of cover, yes, the site IS very Web 1.0 and we are working on a new interface, very slick! Also the site DOES have a lot of Google ads as well as Kontera In-text Ads. The In-text ads can actually be turned off by the author in their author management console, so if you do not want ads showing up in your articles, you don’t have to. The google ads however are the reason we can provide the service we provide for FREE. I would also like to point out some very advantageous uses for AMAZINES.COM that you failed to mention. 1) You are free to post as many links in your article as you like. These are straight links and are not tagged as NO-FOLLOW. Therefore, by posting an article to AMAZINES.COM (once approved) it is a good bet you will be spidered by GOOGLE.COM within 24 hours. 2) The links can be standard HTML Anchor tags so you can keyword load the link text and get good keyword associations with your link. 3) We do NOT require that the article be UNIQUE like so many other article directories are doing now. You see we are providing the service for AUTHORS like you and are not sacrificing allowing you to post your articles because we are afraid of Google penalizing us for duplicate content. I hope these are a few examples of the quite AMAZING article directory AMAZINES.COM. I appreciate your stopping by and providing more information and feedback. While both Rebecca (who wrote the review) and I did find things that we liked about Amazines.com, we were primarily looking at it from the perspective of an author who submits content, not a site owner who would use the content, so the over-abundance of Google Ads and the fact that the user interface [was] so weak were two very big negatives – not enough to make us “unhappy”, but certainly not amazed either. I totally understand your need to earn revenue (via the Google Ads and in-text Ads) given that you don’t charge to either submit or use content, but many other article submission sites also do not charge for submitting content (our primary factor) and don’t plaster their site with Ads. I believe it’s acceptable to earn revenue by charging website owners who use the content a fee for the privilege of doing so, but I respect your decision not to. I also appreciate that you took time to point out several other positive features – they are indeed important ones – and I’m very glad to hear that you’re working on a new interface. We’d be happy to take another look at your site when that is complete, so please be sure to let us know. It’s a shame that the Article Submissions Guidelines page is so woefully short. And that the article management page gives you little to no information about what you’ll be able to do with articles from that tab. And there’s nothing to tell me what all HTML I can/can’t use (aside from the anchor text for the link…so I’ll assume I can just use it all). And that the forums are pretty much overrun by spam. And that I can’t find my way back to a publisher login, once I went to the author login. And…so on. So, yeah…I’m not amazed either. I hear ya! I mostly use Ezine Articles. There are so many article databases out there that it can make your head spin! Use what works for you and test some of the others.